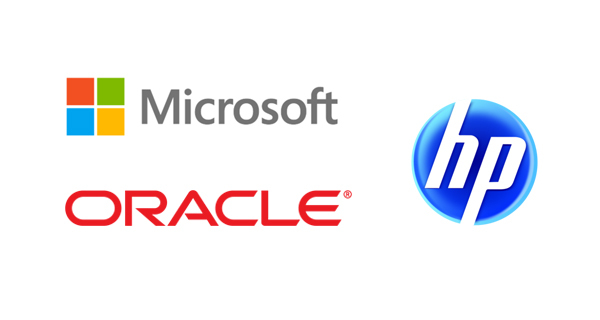 ▲ Over the last one year, Oracle, HP and MS in Korea carried out massive restructuring. Attention is growing that trade unions of American-based IT companies in Korea have formed a standing consultative council to respond to the corporate restructuring and union suppression. Viewing that the corporate climate that the headquarters in the US do not recognize trade unions is reflected to the overseas branches in Korea, trade unions planned to make public the issues of illegal and unfair practices taking place in the foreign-invested companies. According to the Korean Federation of Clerical and Financial Labor Unions(KCFLU), its affiliated trade union representatives of Oracle Korea, Hewlett Packard Korea and Microsoft Korea held a talk on December 27 and agreed to form a union representatives' meeting for a joint struggle among three IT companies. These three companies are currently undergoing the industrial disputes, as the companies sacked the employees and the employees organized themselves to protect the jobs.